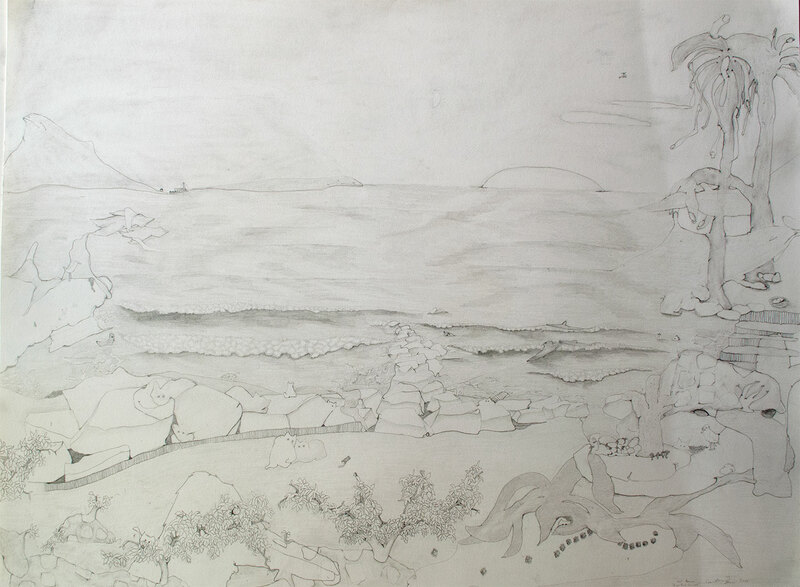 This ongoing series of drawings are inspired by the landscape as I see it during regular walks. I am interested in noticing intersections of the human made and natural landscape. 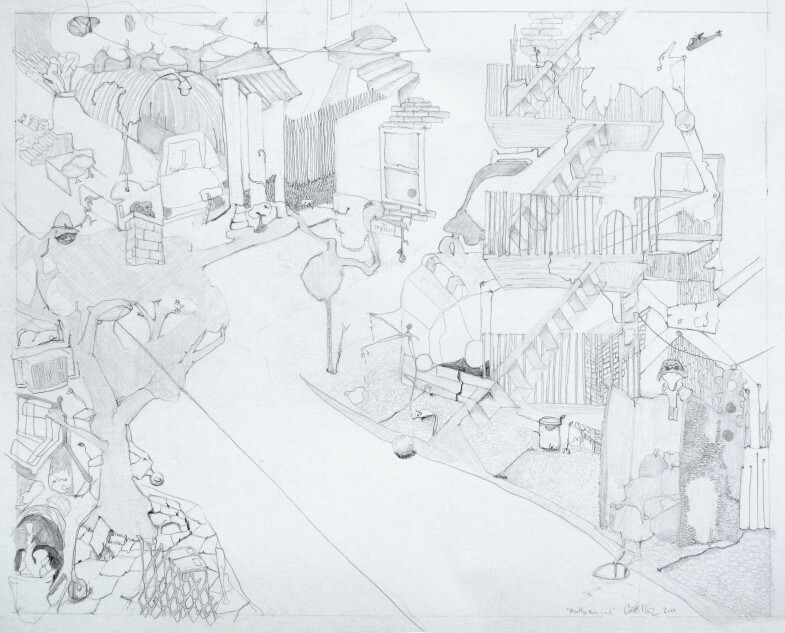 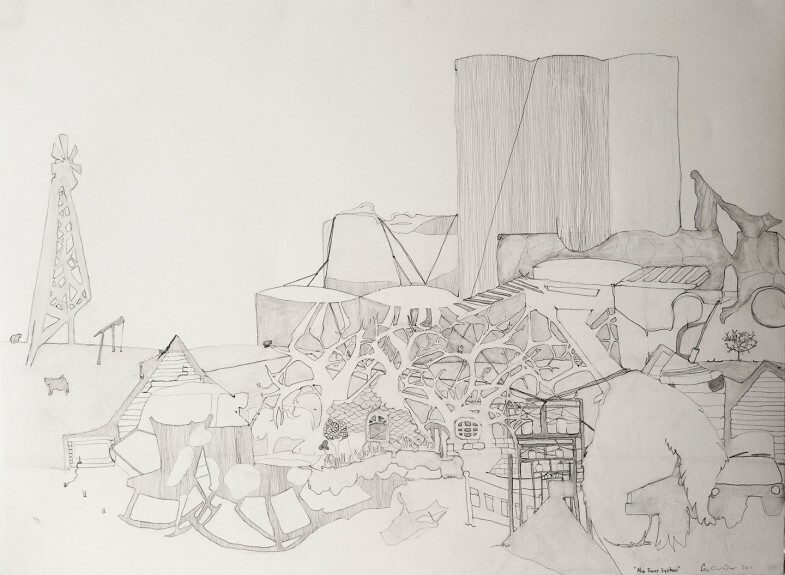 The drawings morph elements and infrastructure so that looking at one shape or object leads to finding another. 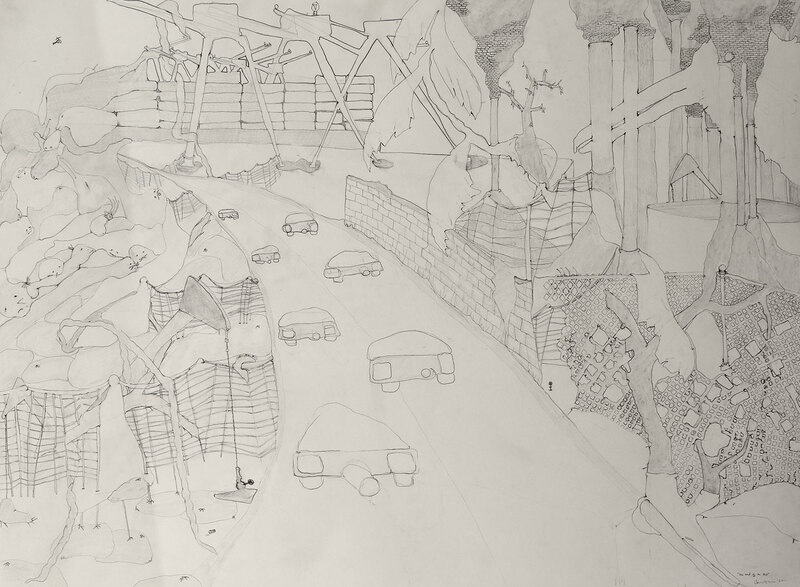 The lack of perspective in these drawings lends to them a decorative quality. However the layers of detail create a non linear narrative counteracting the notion that a landscape can solely be scenic. The drawings are an attempt to capture landscapes which are subtly evolving. They are an exercise in noticing our impact on and relationship with the environment. 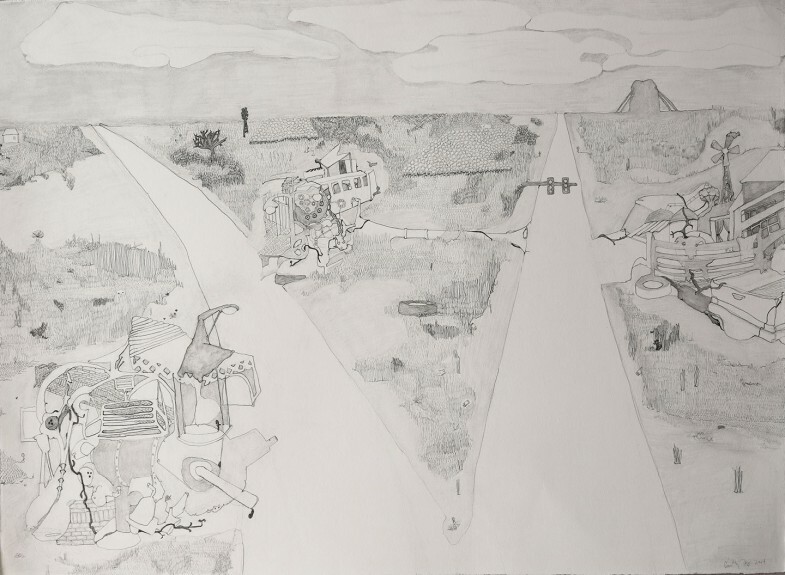 The series currently includes drawings inspired by Southern California, North Eastern Oklahoma, and New York City.